"Jovich shows the Presidents as human beings... as if he has been friends with each one." With his mother, the late Phyllis Burke Jovich, and neighbor, the late U.S. Representative Michael J. Kirwan (the latter a friend of Truman, JFK & LBJ) being key influences in his early presidential research, it wasn’t long before Jovich became inundated with donations of presidential material from people throughout the nation – biographies, campaign memorabilia, photographs -- even authentic items signed by past presidents arrived in the mail. So immersed was the lad in his study of America’s chief executives that his parents occasionally found it necessary to temporarily ban access to everything presidential until his grades improved. Jovich is privileged to have shaken hands with nine U.S. presidents thus far in his lifetime, having met John F. Kennedy and then-former President Harry Truman as a young boy and, in later years, Presidents Nixon, Ford, Carter, Reagan, Bush (41), Clinton, and Bush (43). He also treasures scores of personal letters received during his formative years from presidential/political luminaries the likes of Truman, Dwight D. Eisenhower, Reagan, Robert F. Kennedy, Hubert H. Humphrey and Everett McKinley Dirksen. 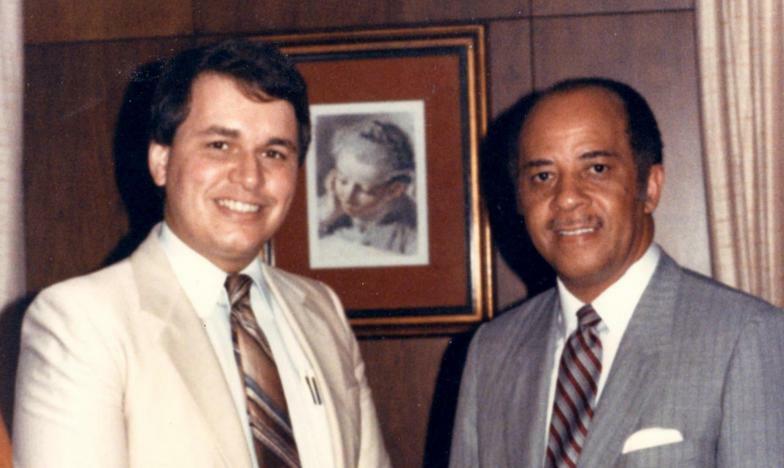 Jovich introduced Humphrey before an assemblage of 2,000 at his high school in 1972. Today a recognized historian of the American Presidency, Jovich has, since 1979, delivered over 600 lectures on the subject before universities, chambers of commerce, historical societies, civic and fraternal organizations nationwide. His venues include the Tampa Historical Society, Marshall University, and the Society of F.B.I. Alumni. He eulogized President William McKinley at Buffalo, New York’s centennial of his assassination, and has been interviewed by scores of newspaper and talk show journalists, including the Associated Press and radio hosts in Canada, Australia and The Netherlands. 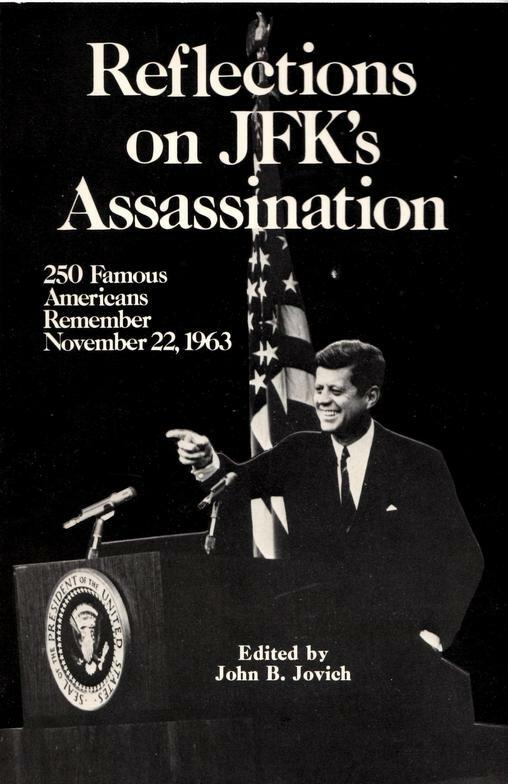 Author of Reflections on JFK’s Assassination: 250 Famous Americans Remember November 22, 1963, Jovich’s book enjoyed the personal participation of Presidents Ford, Carter, Bush (41), and Clinton. Other noted respondents included: Alex Haley, Sandra Day O’Connor, Jonas Salk, Cesar Chavez, Jack Nicklaus, Elizabeth Taylor and John Travolta. Historian extraordinaire Arthur M. Schlesinger Jr. provided the book’s Afterward, and Jovich presented a copy to Sen. Ted Kennedy at his Washington office. While researching the private papers of the late Vice President Alben W. Barkley for Barkley's heirs, Jovich discovered a "Top Secret" memorandum signed by President Harry Truman, conveying his intention to fire General Douglas MacArthur months prior to the controversial dismissal. The document received widespread media coverage. In January 1996, Jovich arranged a private meeting in Dallas between the then sole-surviving member of the Warren Commission, President Gerald R. Ford, and retired Dallas police detective James R. Leavelle (the Stetson-adorned officer cuffed to Lee Harvey Oswald at the moment the presidential assassin and cop-killer was gunned down by Jack Ruby). ​Jovich has written articles about the presidents for an array of publications, several of which have appeared in the Congressional Record. 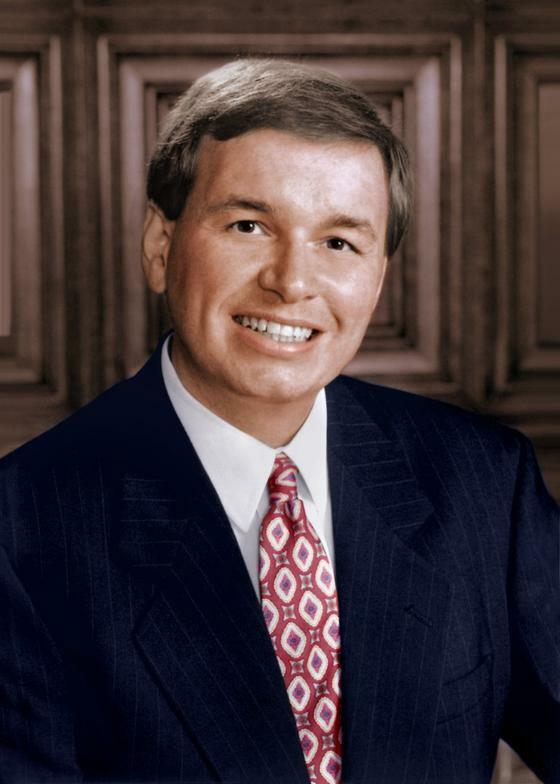 The recipient of numerous proclamations and keys to cities, Jovich’s designations include Honorary Texan, Kentucky Colonel, Honorary Aide-de-Camp to the governor of Alabama, Arkansas Traveler and Honorary Tennessean. He is also privileged to have received special citations from New York governor George E. Pataki, Philadelphia mayor John F. Street, Arizona governor Janice K. Brewer, Los Angeles mayor James K. Hahn and New Mexico governor Bill Richardson, to name a few. Jovich and his wife, the former Lisa McAtee, reside in historic York, Pennsylvania with their daughter Abigail, who is a business major at Drexel University. John has lectured on the U. S. Presidents nationwide. 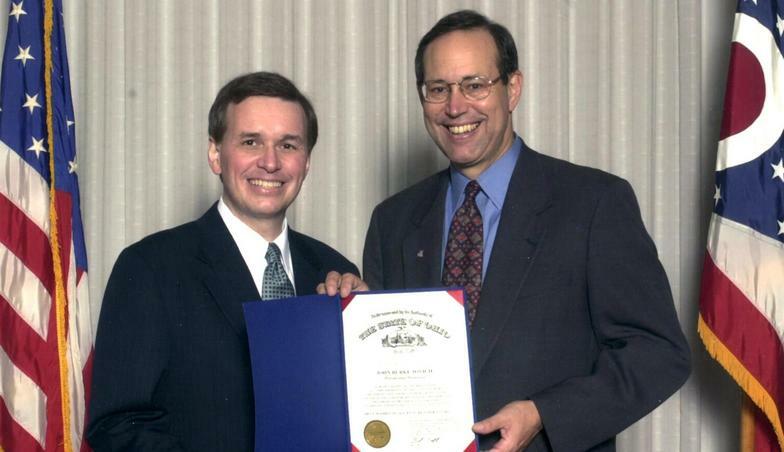 He is shown here with longtime Birmingham, AL, mayor Richard Arrington, Jr. (left) and Ohio governor Bob Taft (right).